Today’s technology means that removing or fading a tattoo for a cover up is possible for some people. Laser Tattoo Removal techniques having changed significally over the last decade. Laser Tattoo Removal is still considered the most effective method to remove a tattoo and carrying minimal risk of scarring along with being a simple process. Laser Tattoo Removal is also a great asset for people looking for a cover-up. Our Truro based Tattoo, Piercing a Tattoo Removal Studio is unique by having Laser permanently on site. This means that you can always get the best possible service from Laser Tattoo Removal, with our laser technician and tattoo artist always on hand for comprehensive consultations. After your initial free consultation and patch test our aim is to provide our customers with sound and ethical advice regarding the removal/cover up of their existing tattoo. 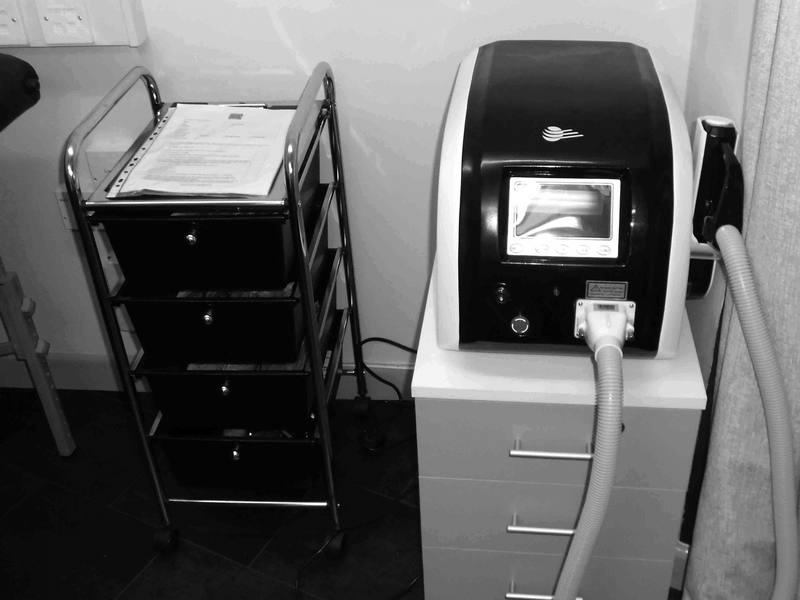 Our tattoo removal laser is a UK manufactured, Q-Switched ND: YAG Laser; and is CE registered which complies with EC directives. While our laser tattoo removal technician's training exceeds government guidelines to ensure the best possible service to the customer.